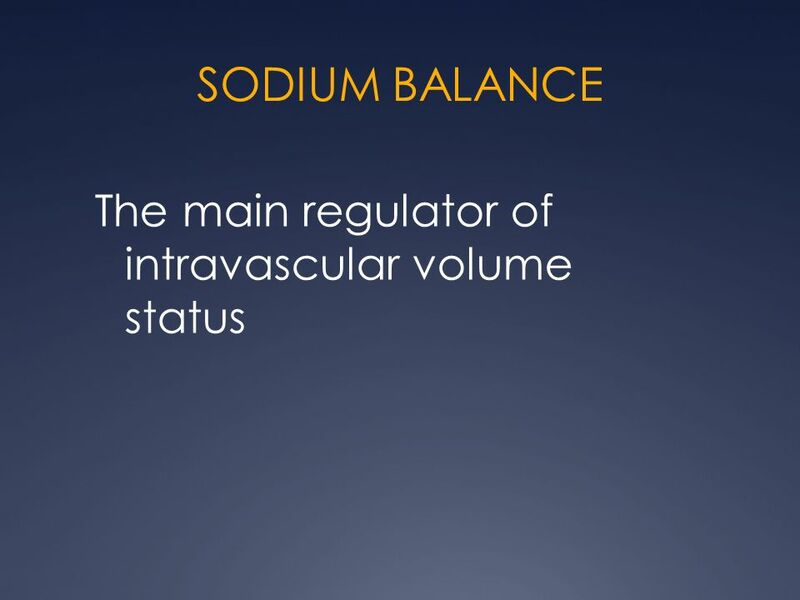 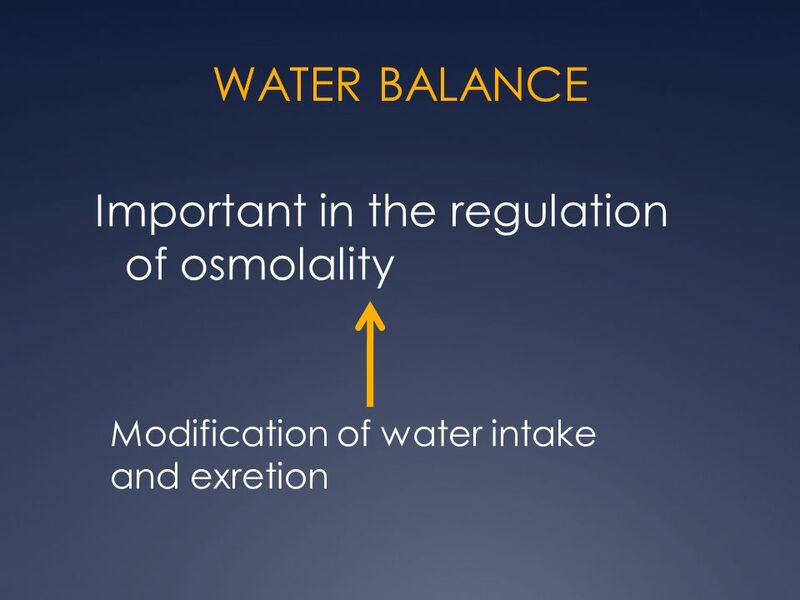 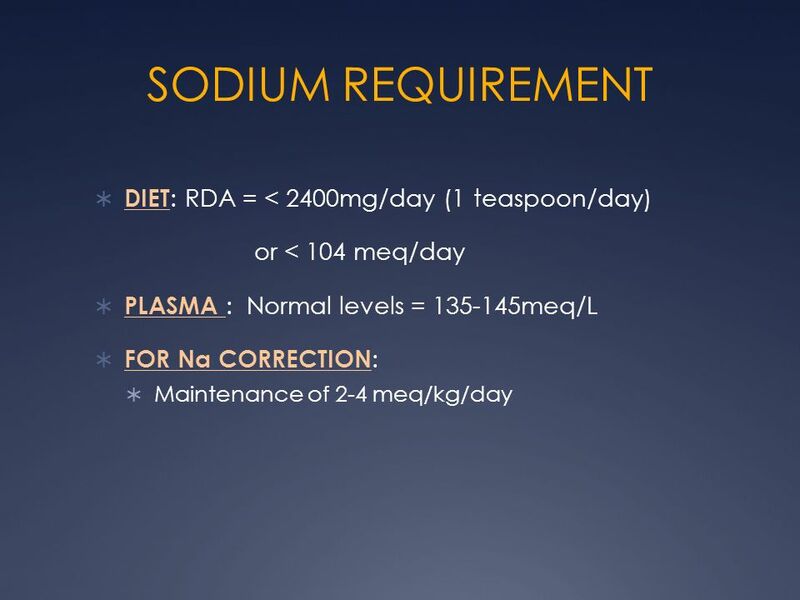 20 What mechanisms in the body makes sure that the balance of sodium and water is normal? 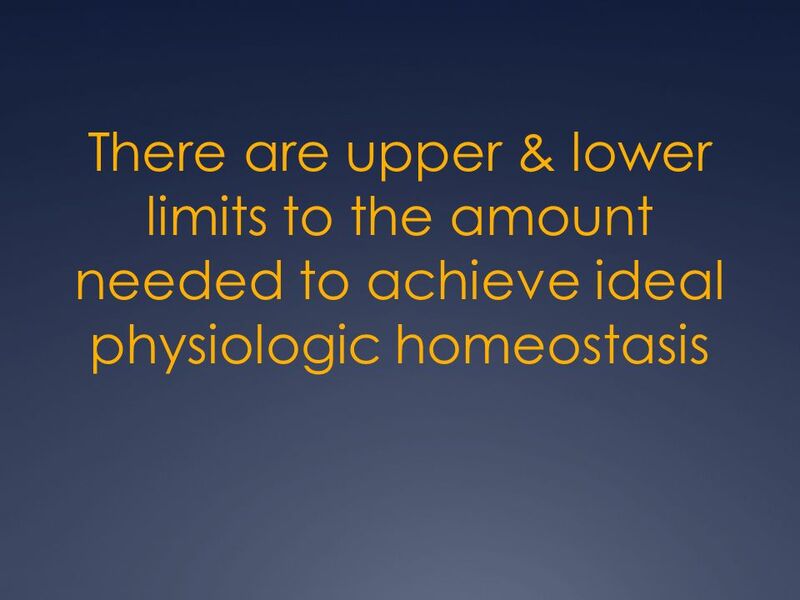 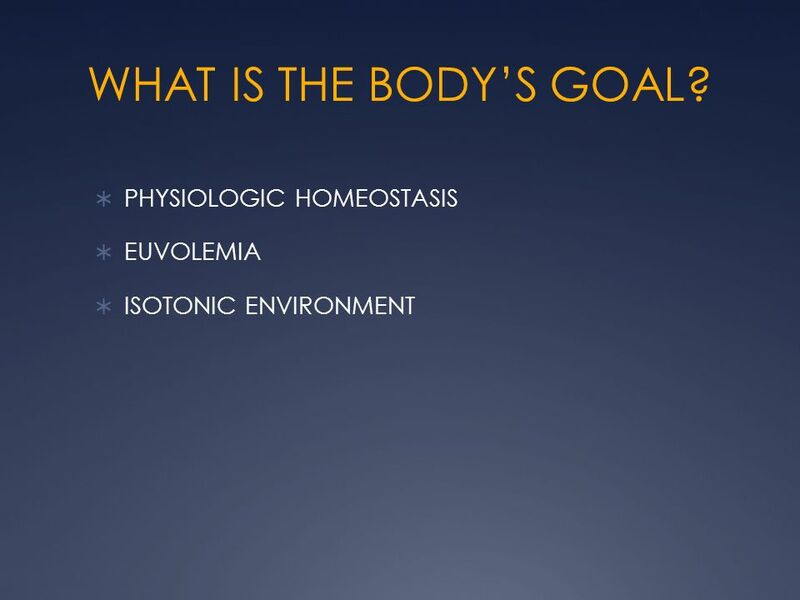 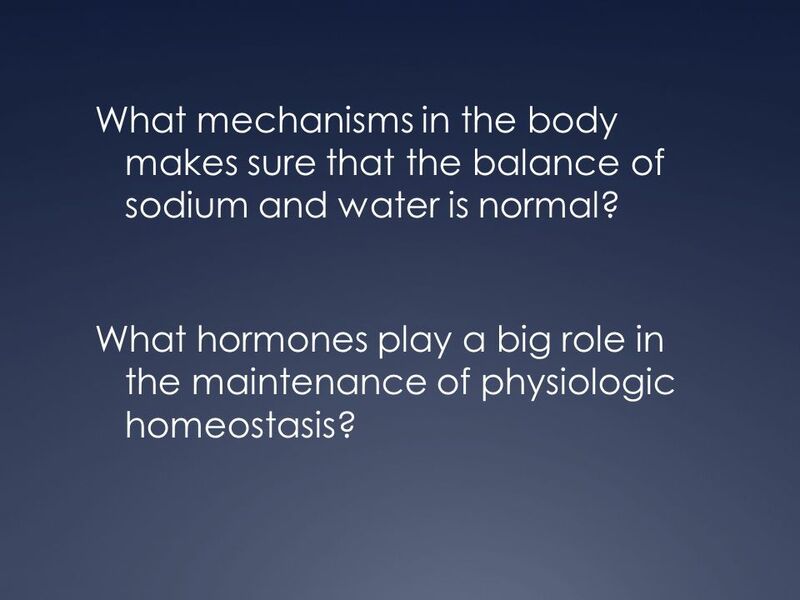 What hormones play a big role in the maintenance of physiologic homeostasis? 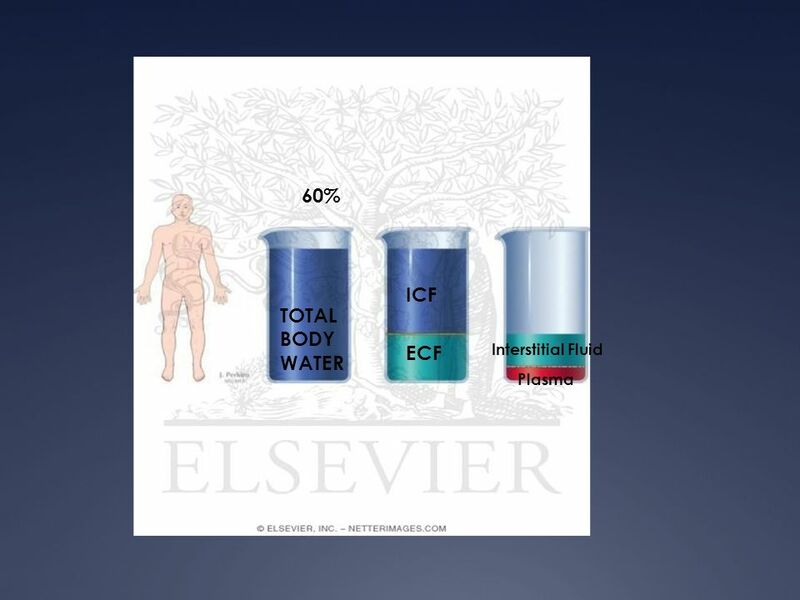 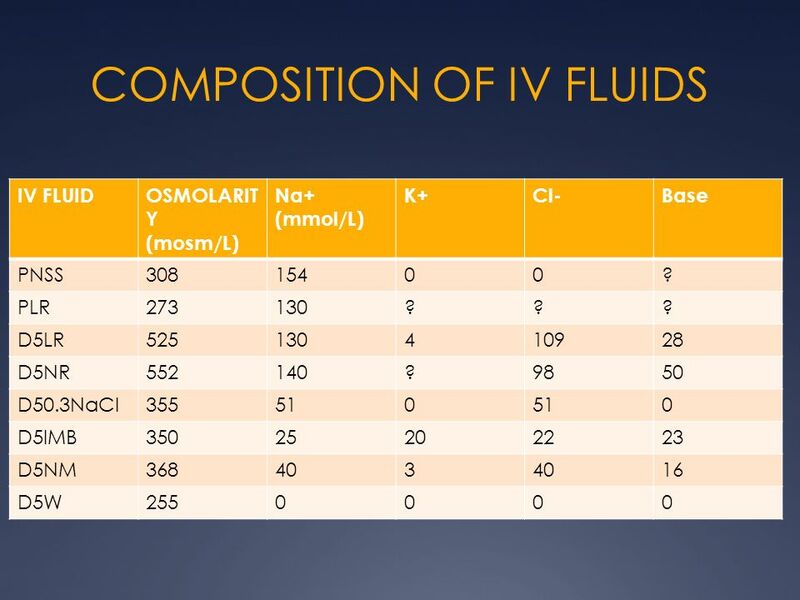 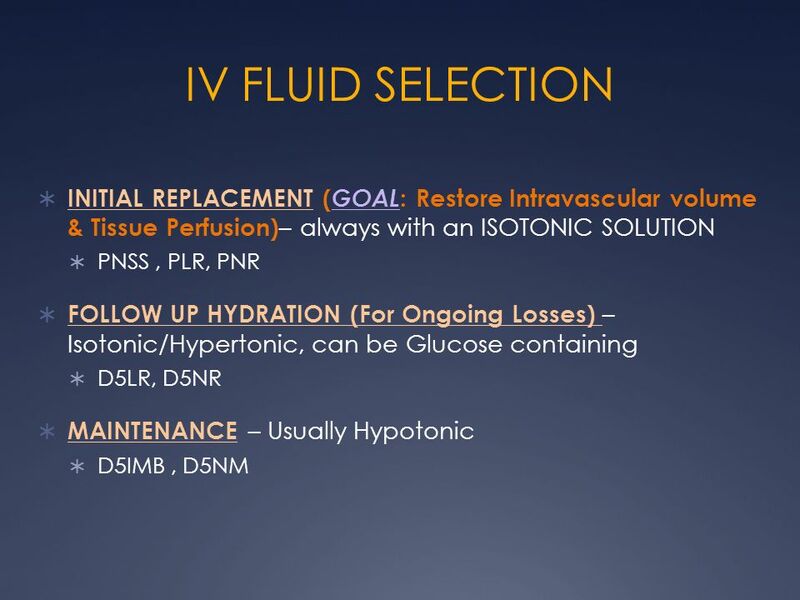 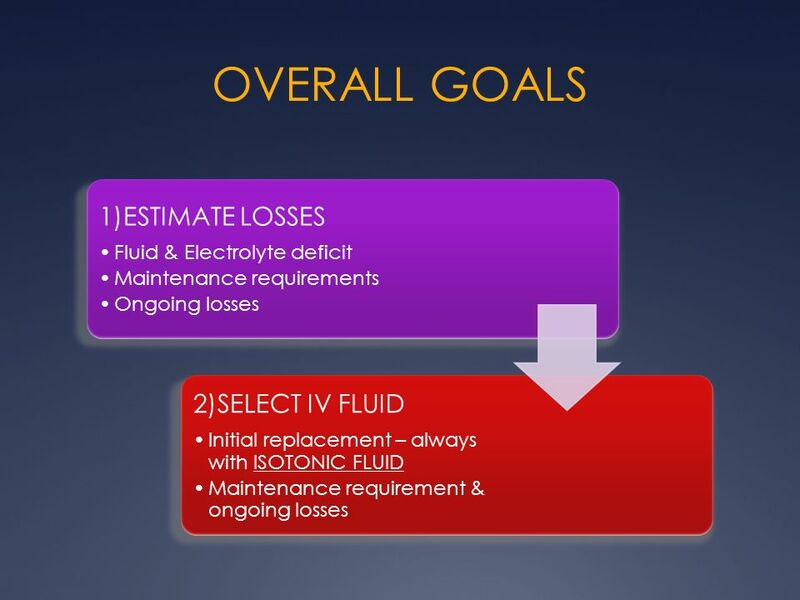 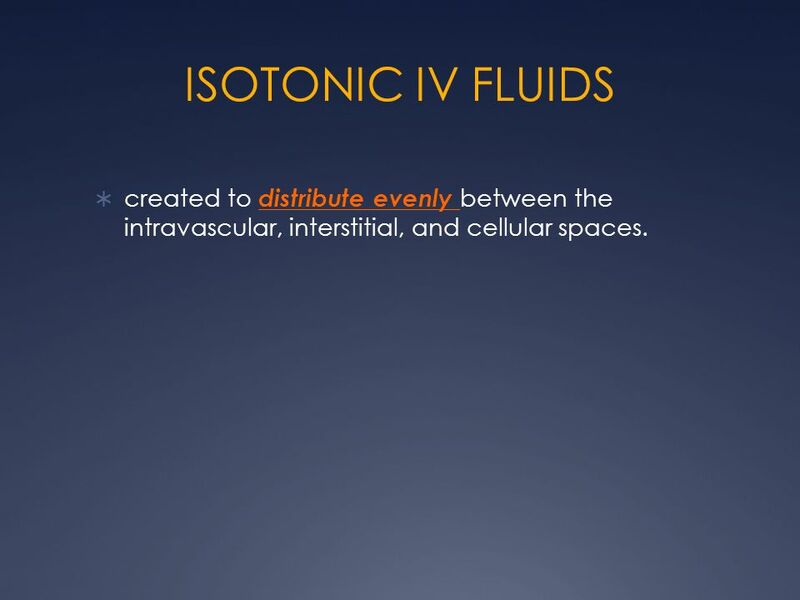 26 ISOTONIC IV FLUIDS created to distribute evenly between the intravascular, interstitial, and cellular spaces. 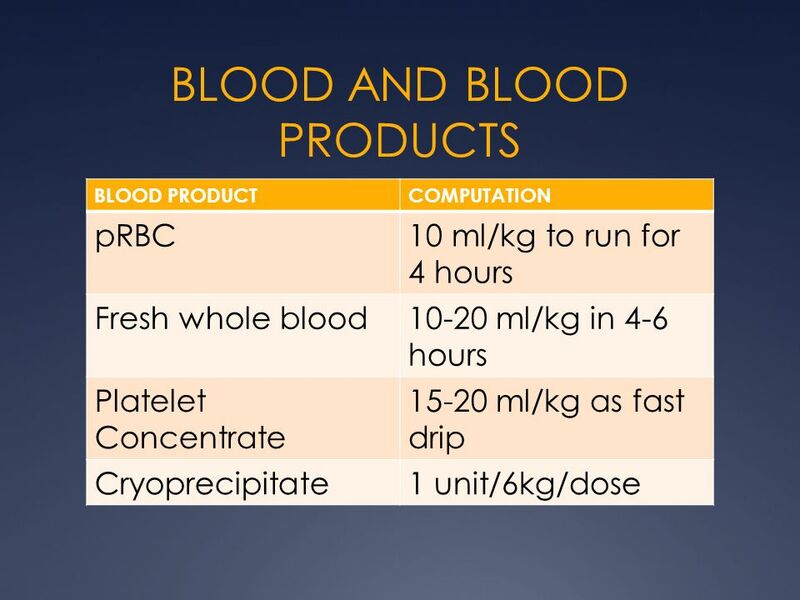 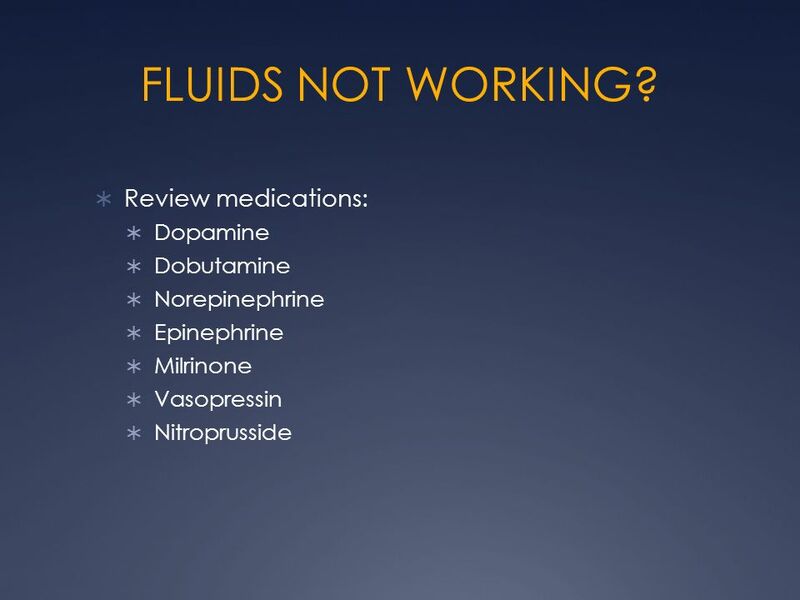 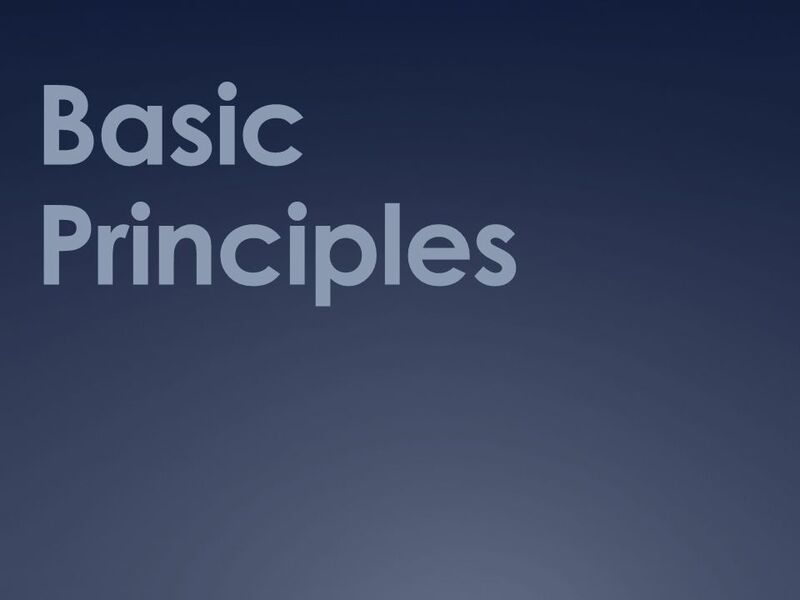 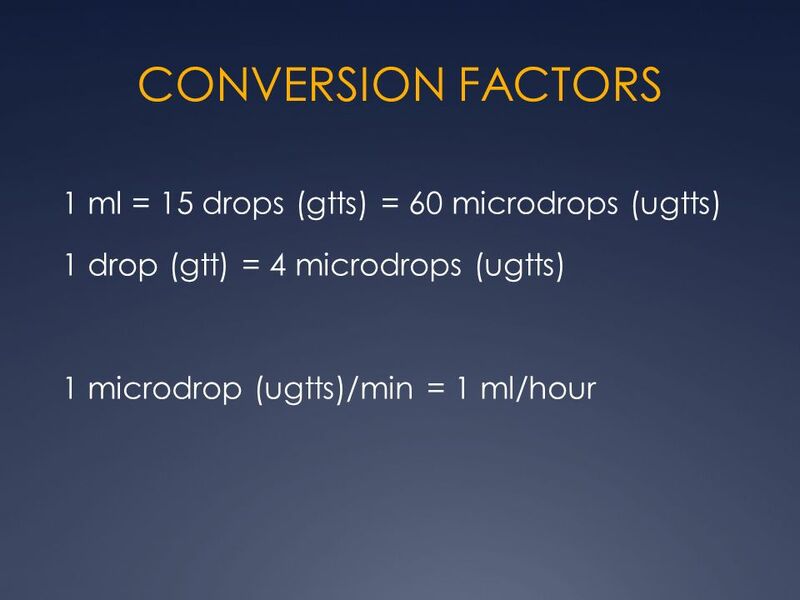 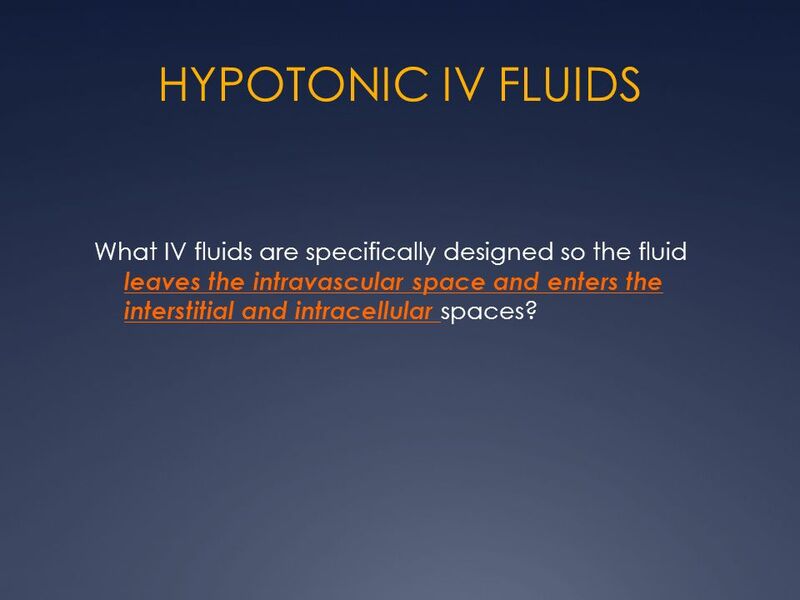 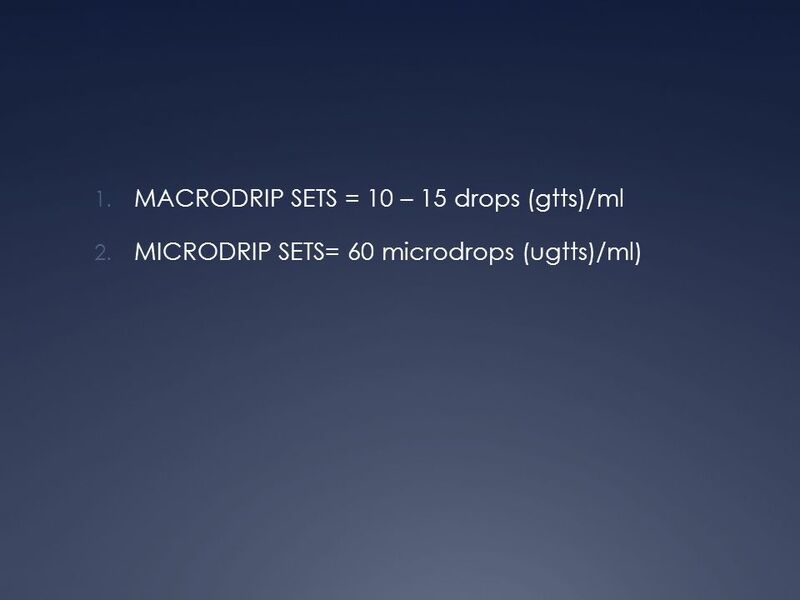 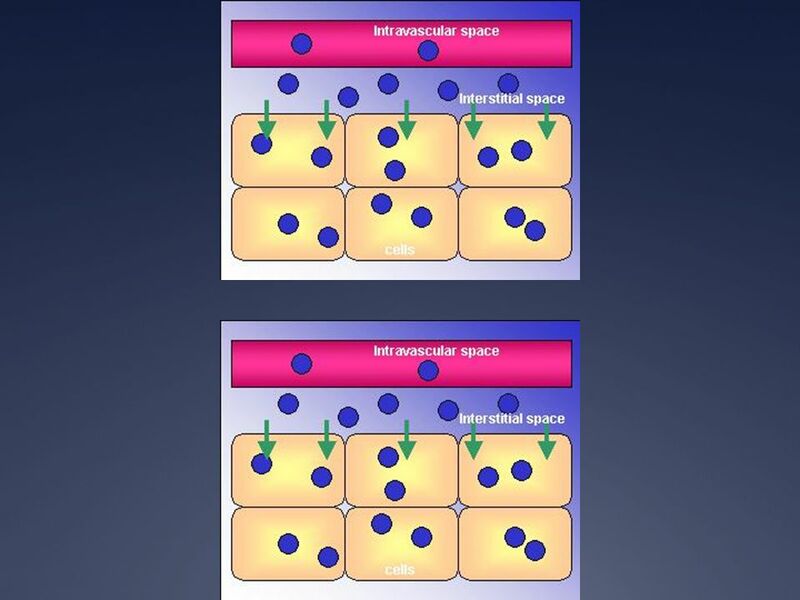 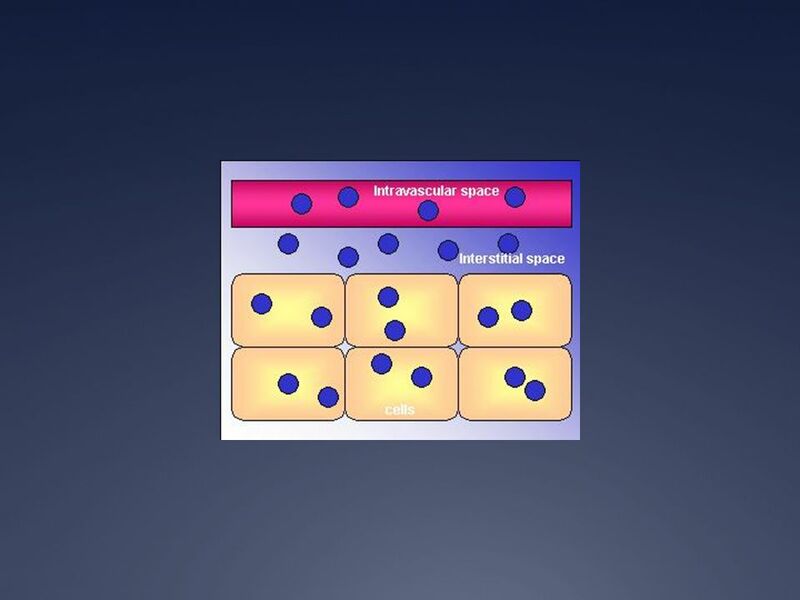 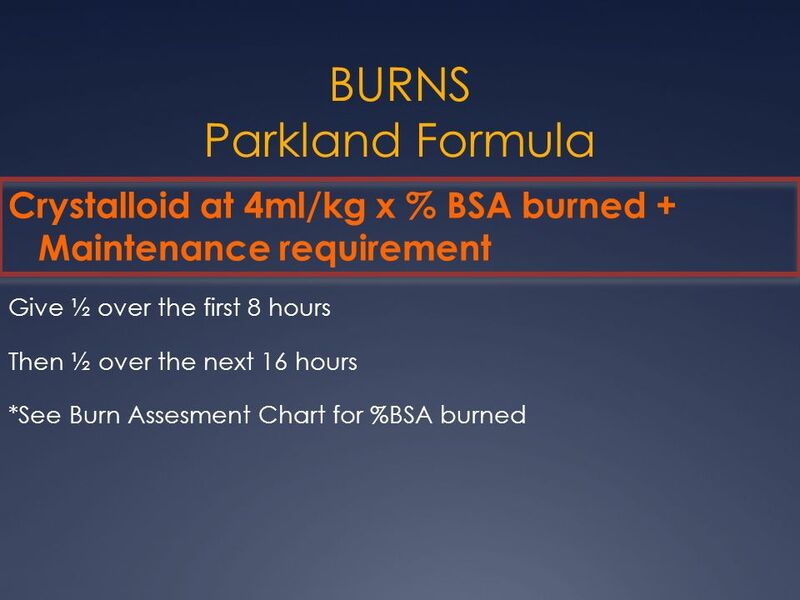 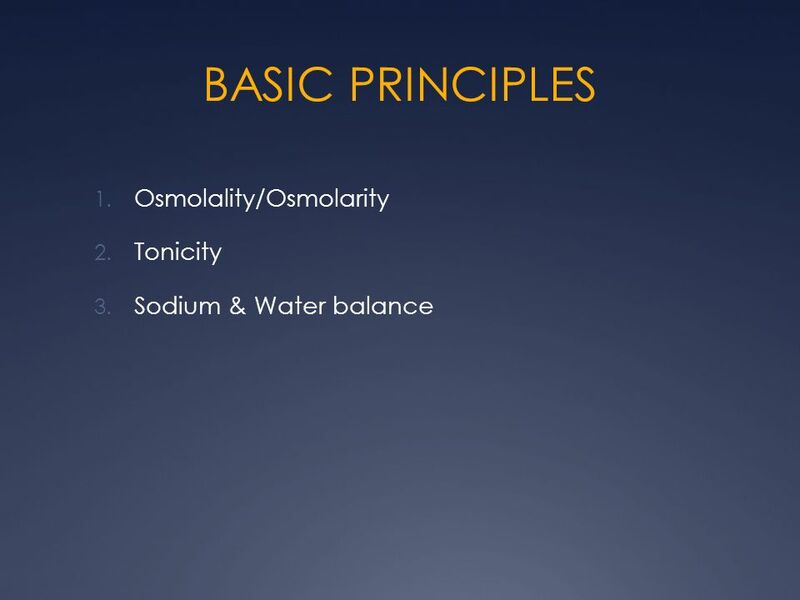 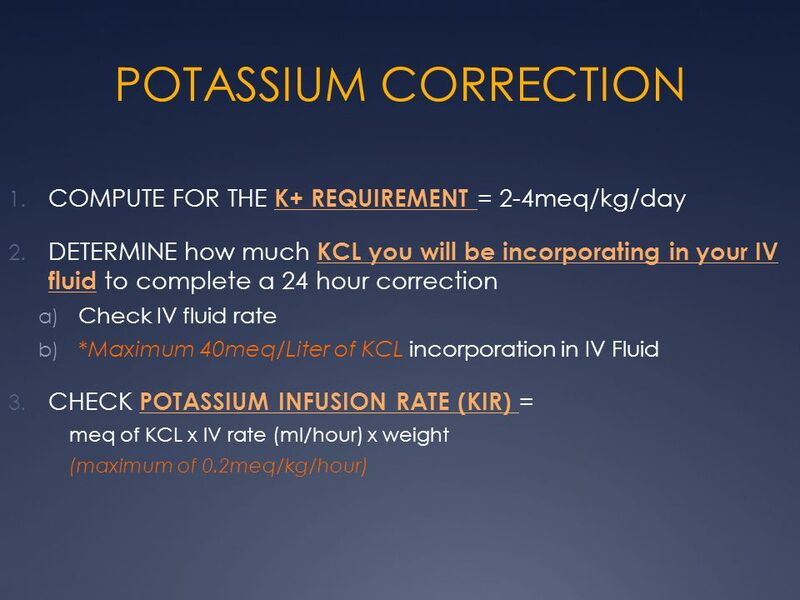 28 HYPOTONIC IV FLUIDS What IV fluids are specifically designed so the fluid leaves the intravascular space and enters the interstitial and intracellular spaces? 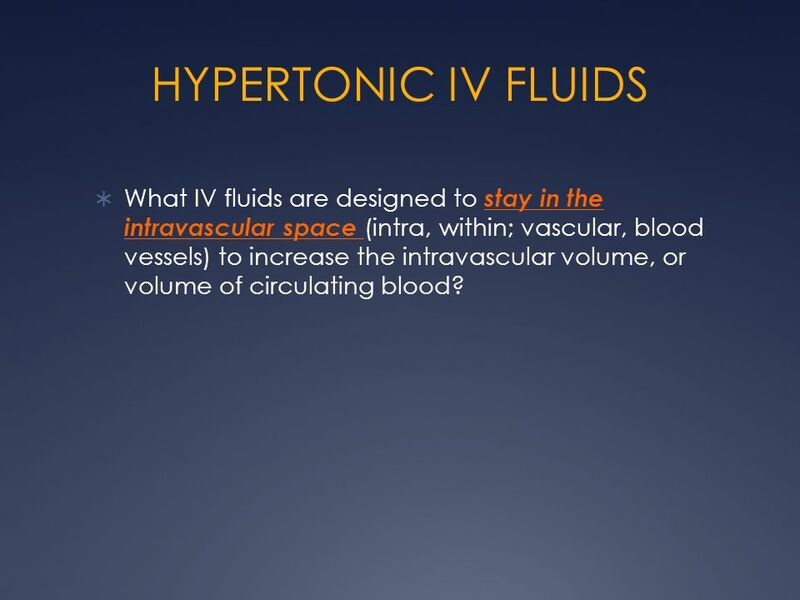 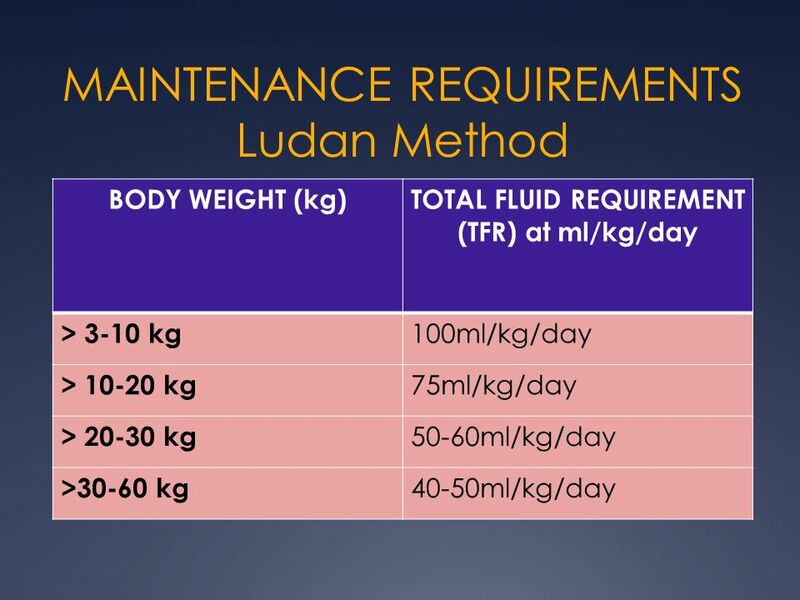 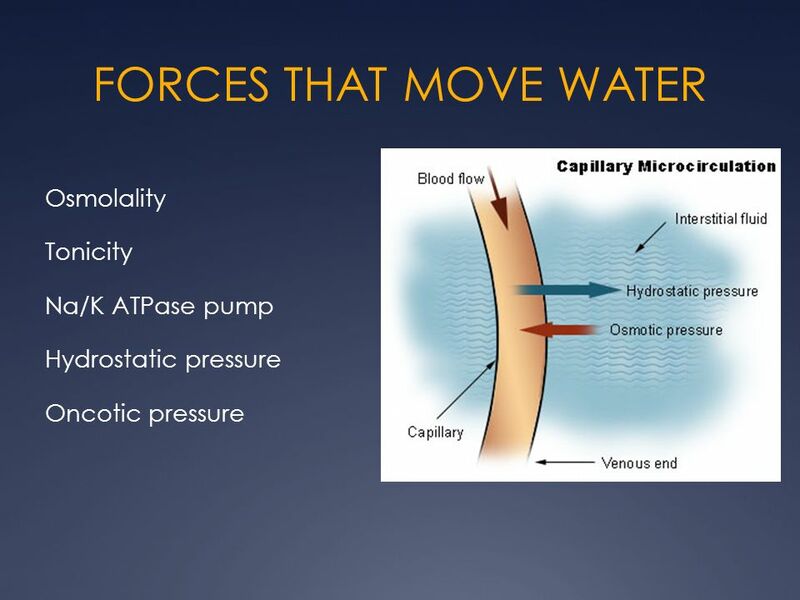 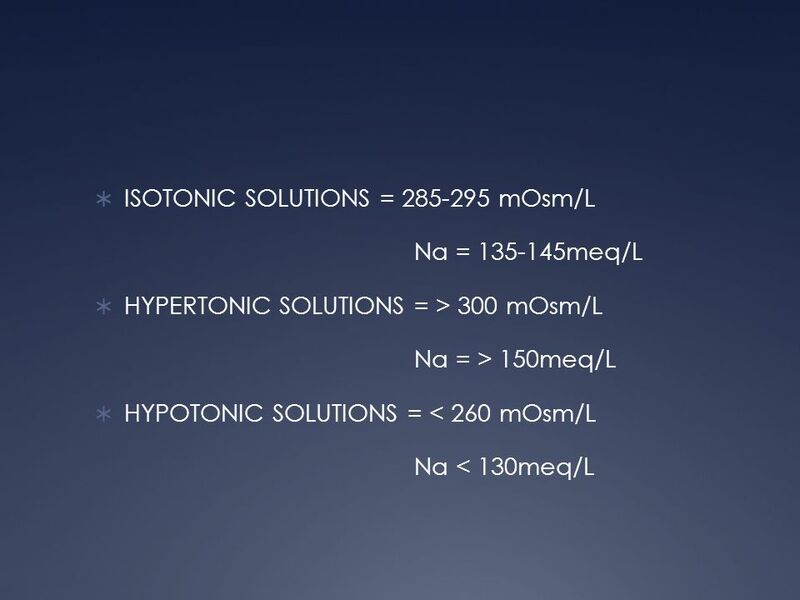 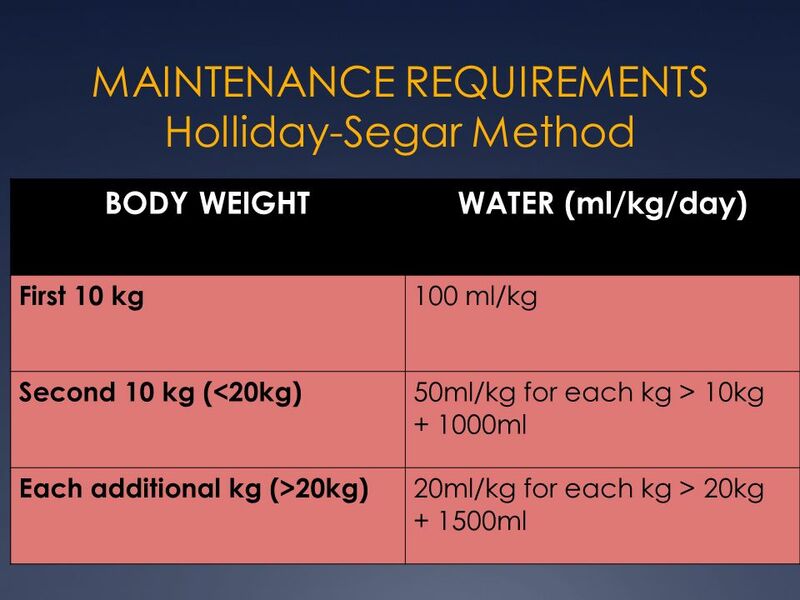 30 HYPERTONIC IV FLUIDS What IV fluids are designed to stay in the intravascular space (intra, within; vascular, blood vessels) to increase the intravascular volume, or volume of circulating blood? 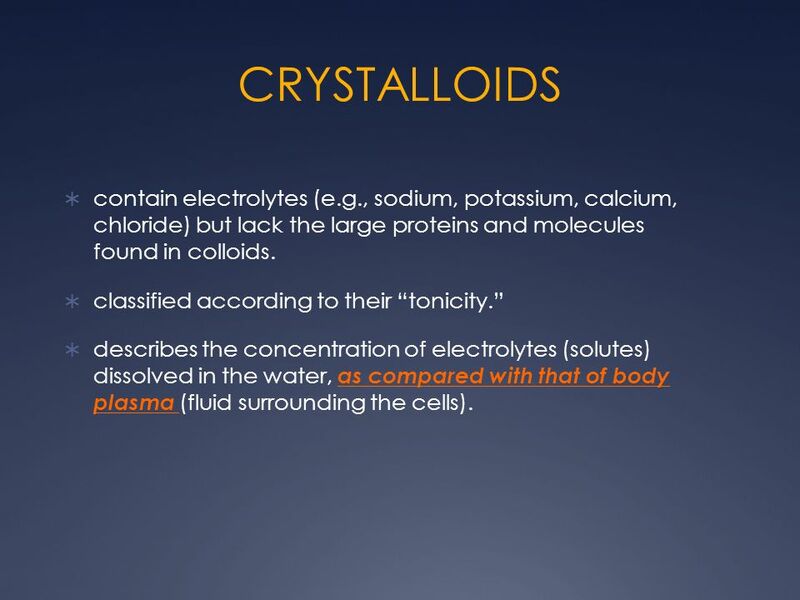 33 CRYSTALLOIDS contain electrolytes (e.g., sodium, potassium, calcium, chloride) but lack the large proteins and molecules found in colloids. 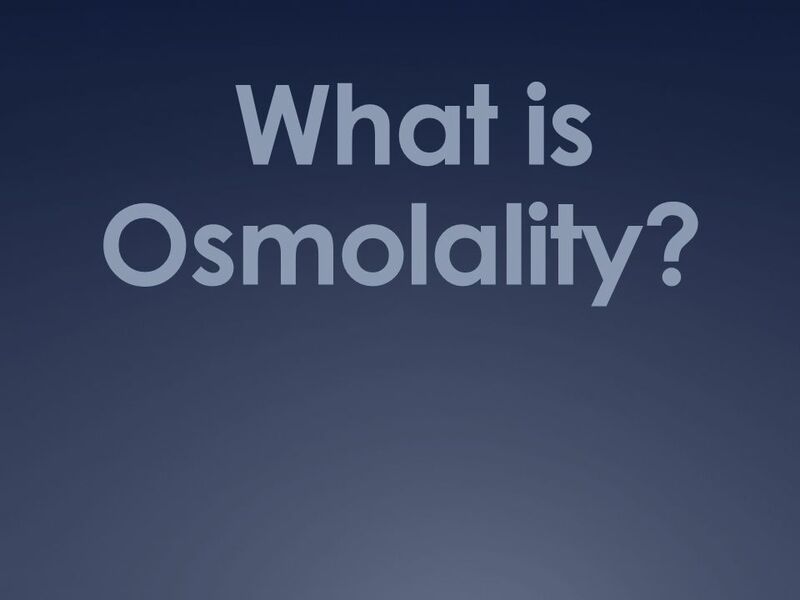 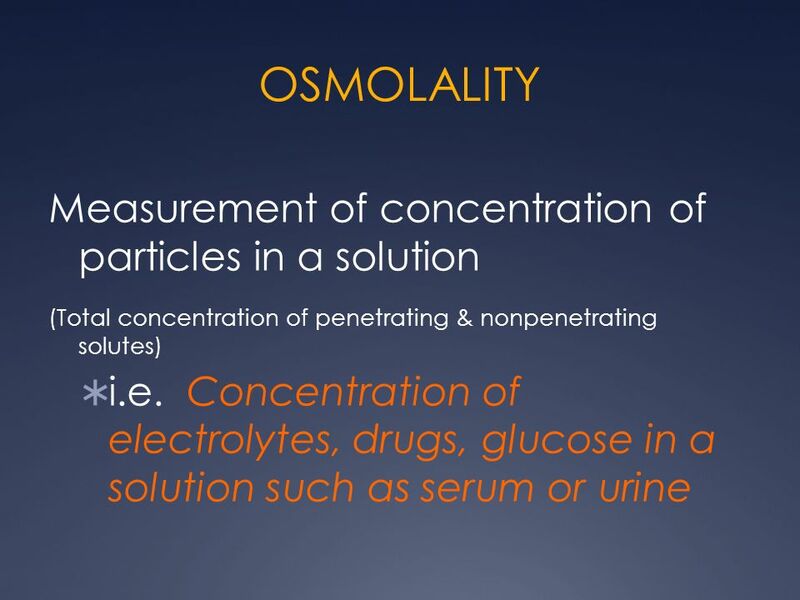 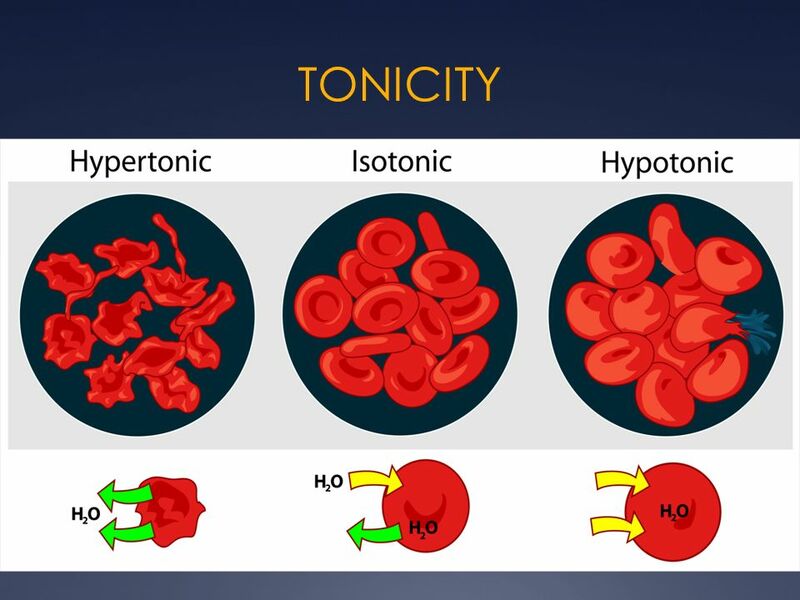 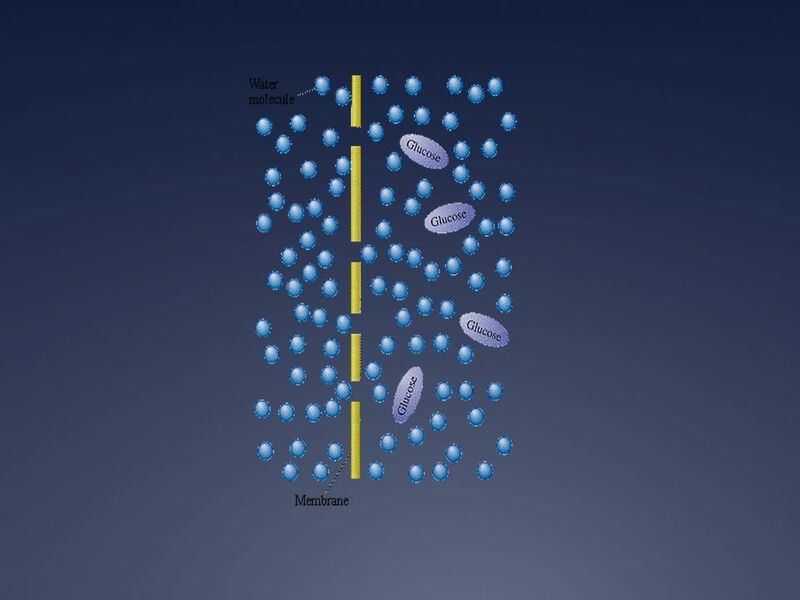 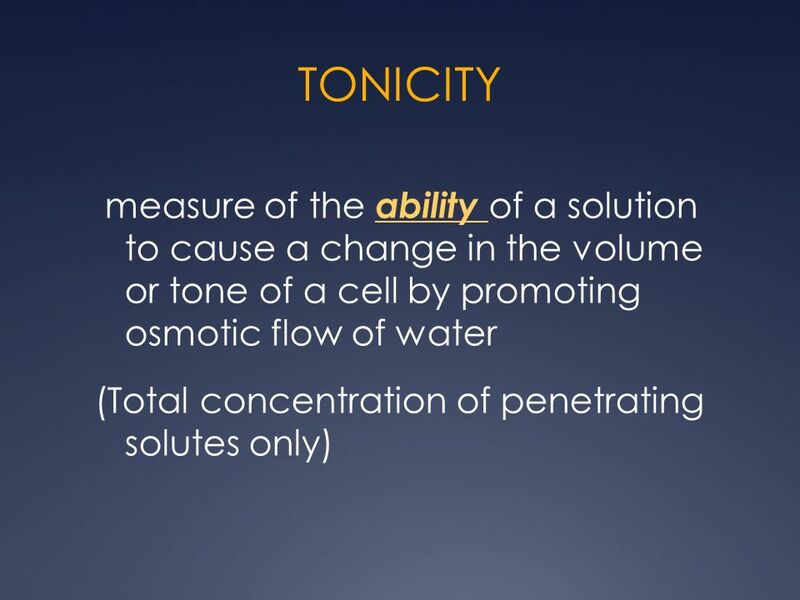 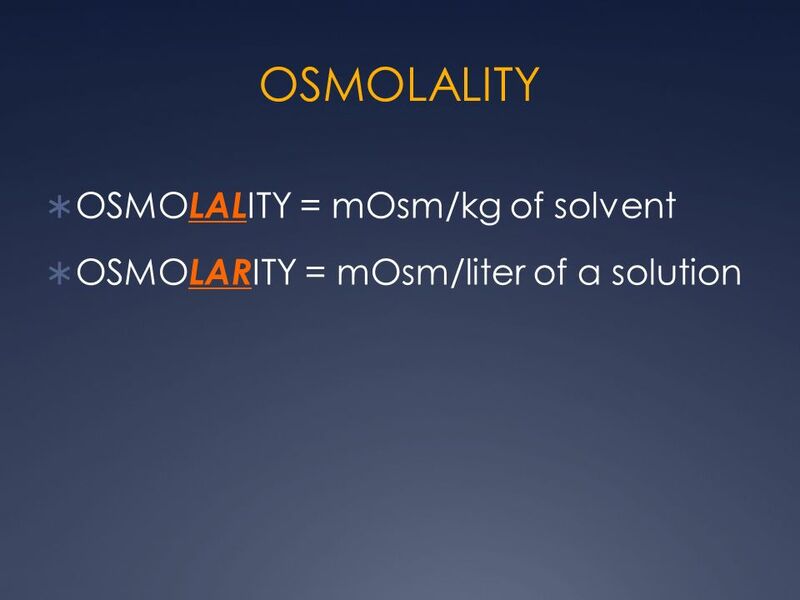 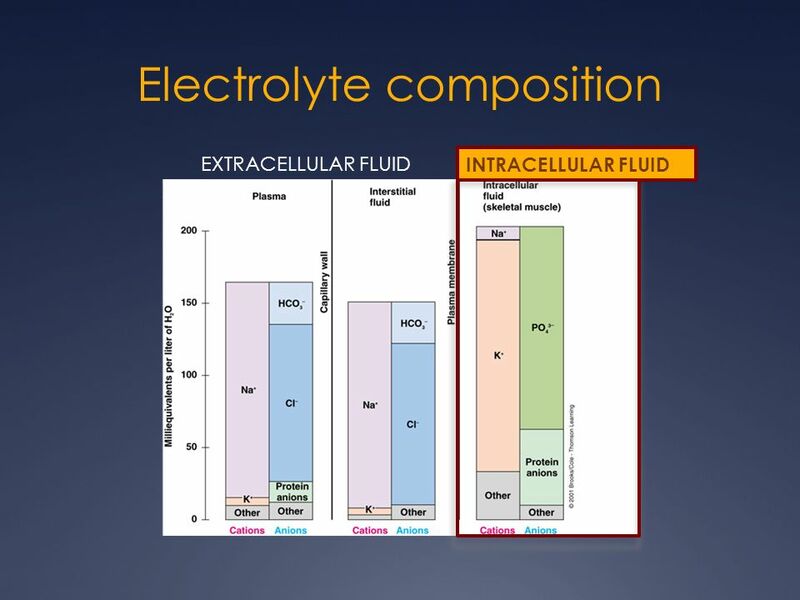 classified according to their “tonicity.” describes the concentration of electrolytes (solutes) dissolved in the water, as compared with that of body plasma (fluid surrounding the cells). 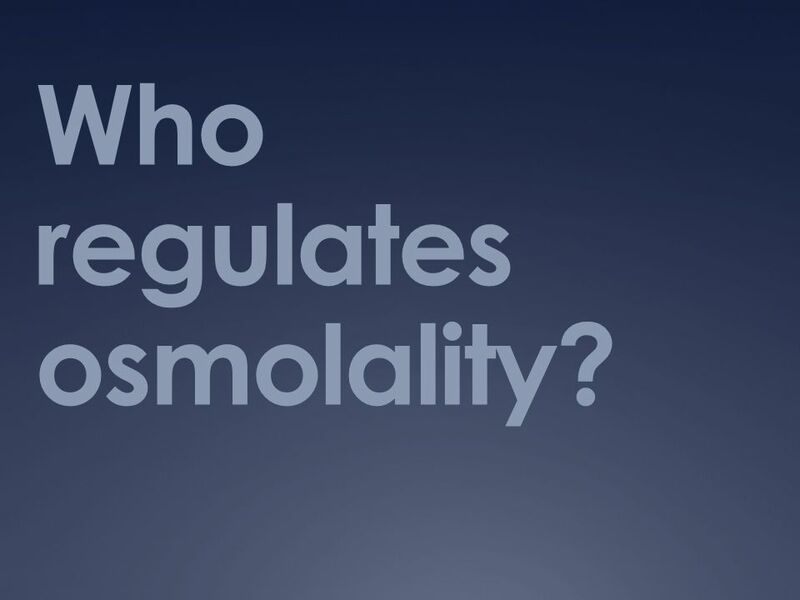 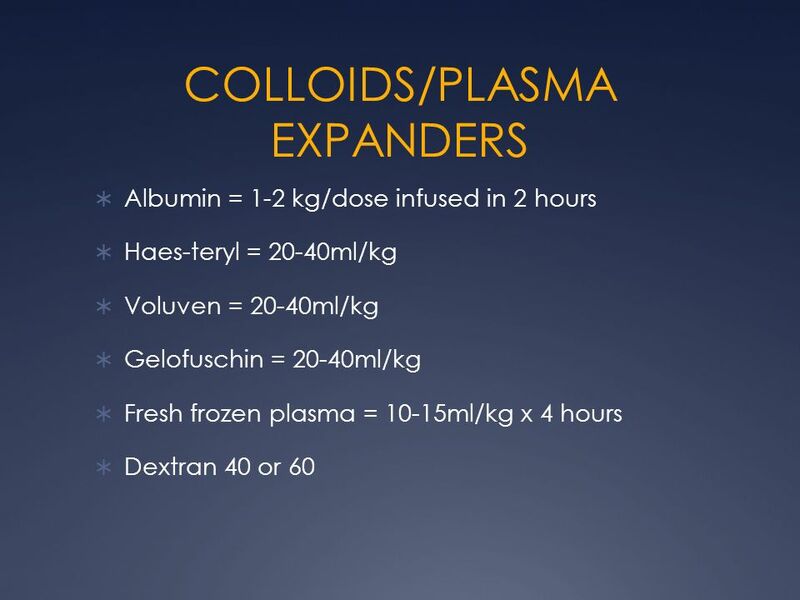 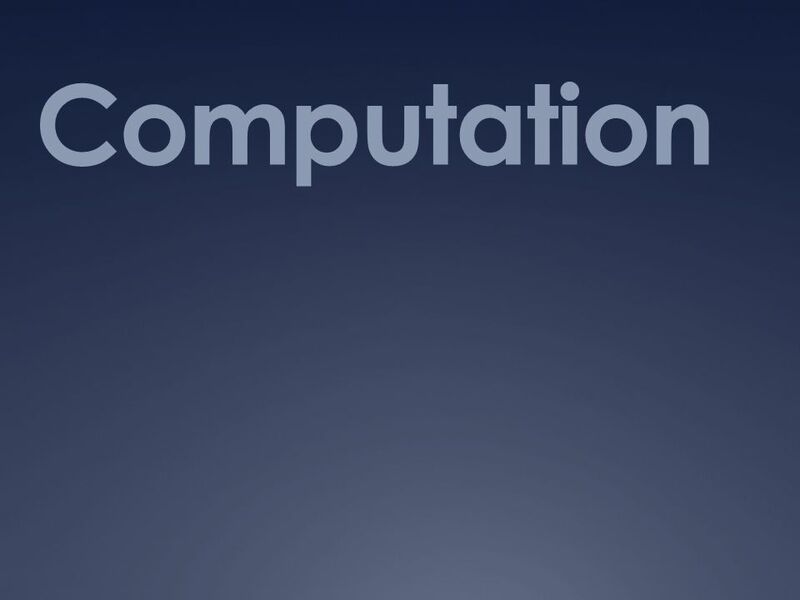 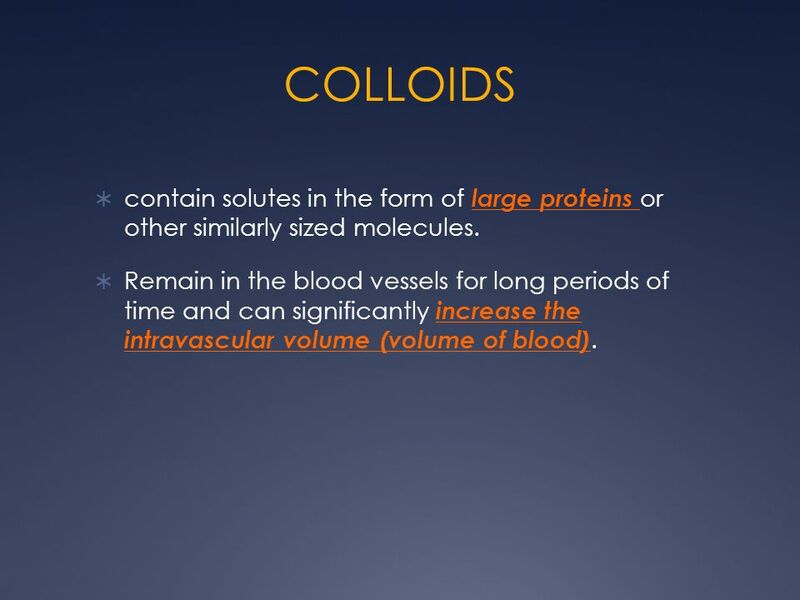 35 COLLOIDS contain solutes in the form of large proteins or other similarly sized molecules. 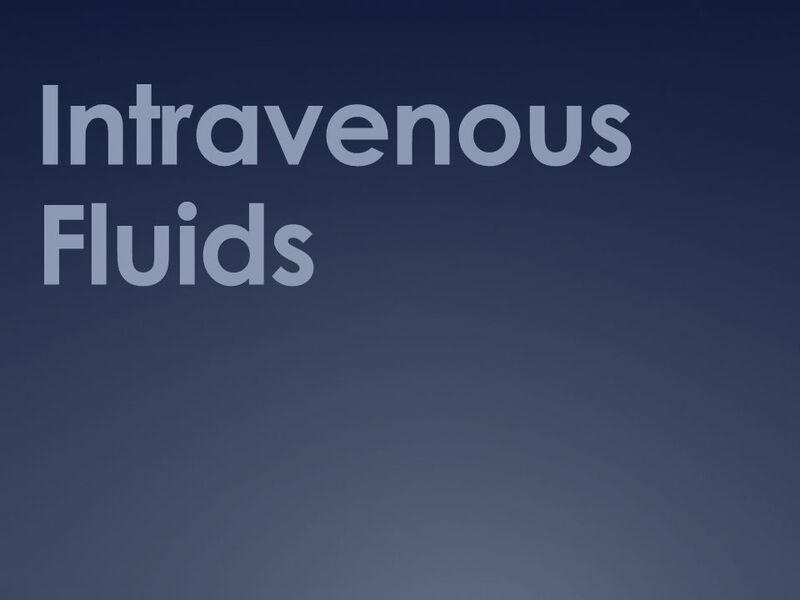 Remain in the blood vessels for long periods of time and can significantly increase the intravascular volume (volume of blood). 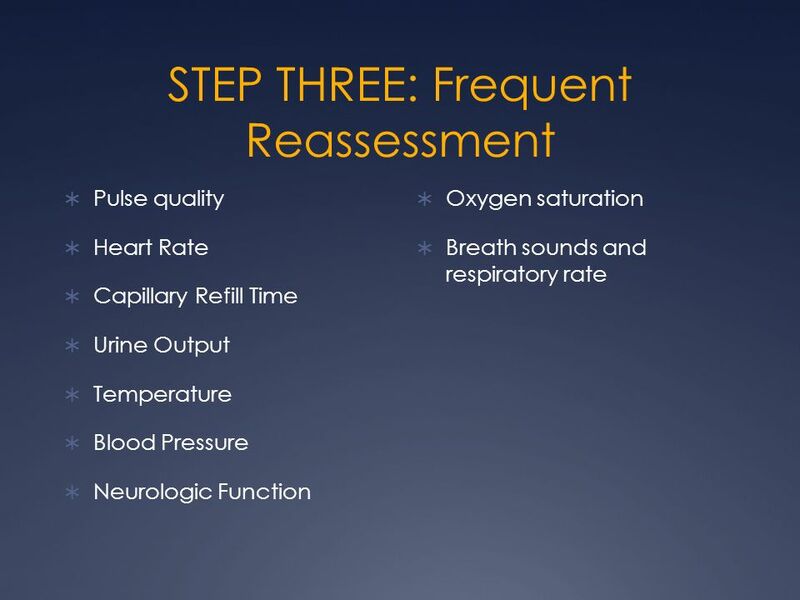 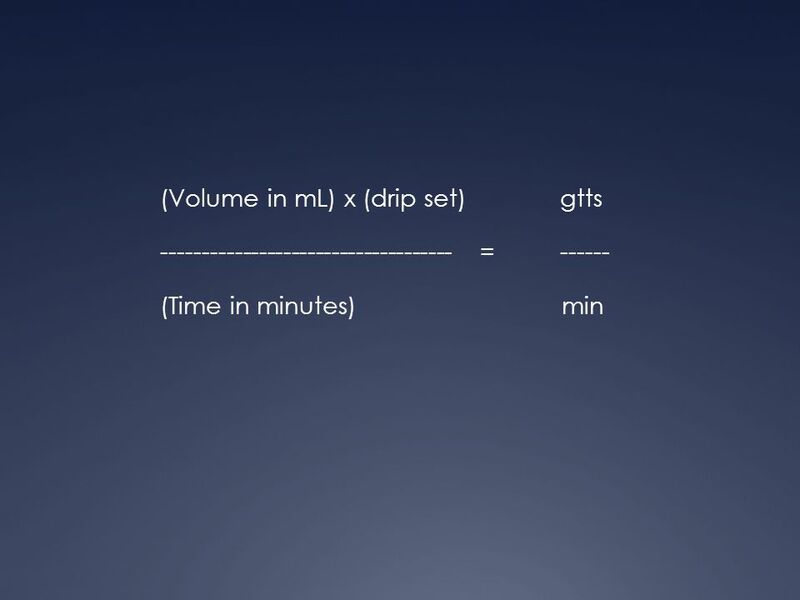 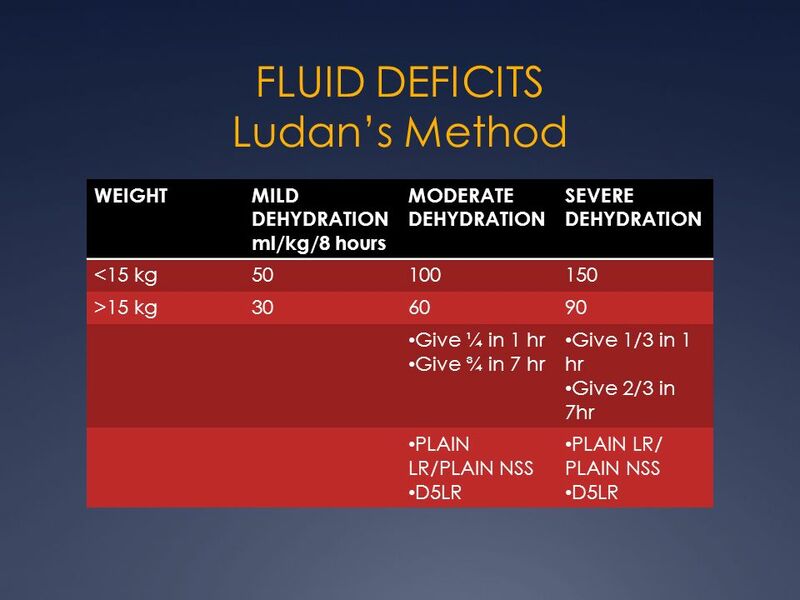 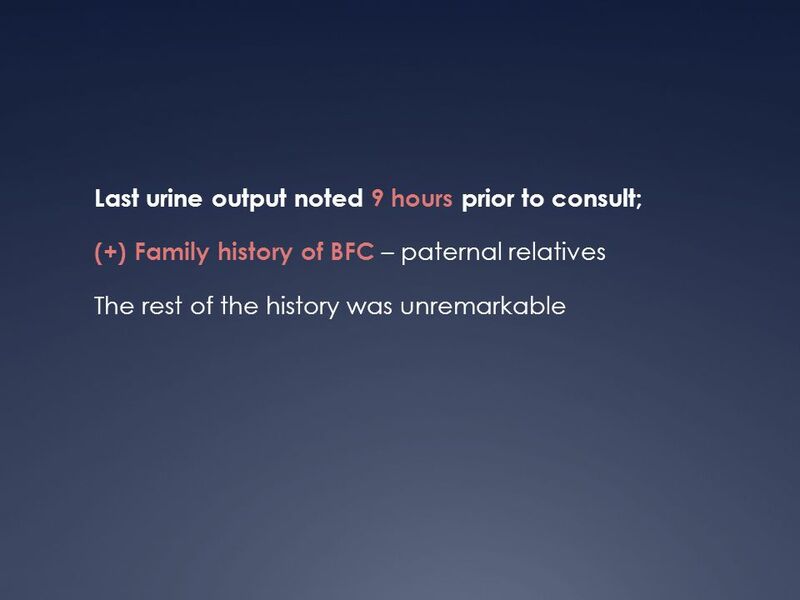 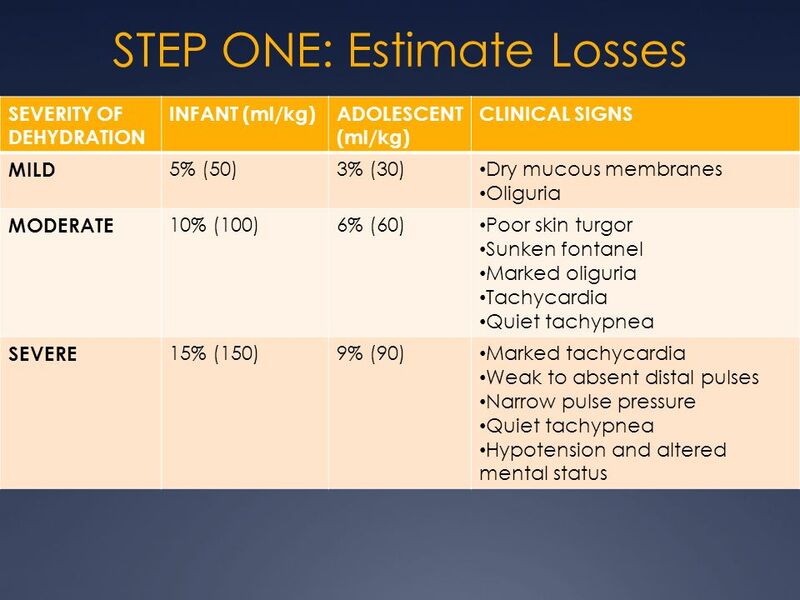 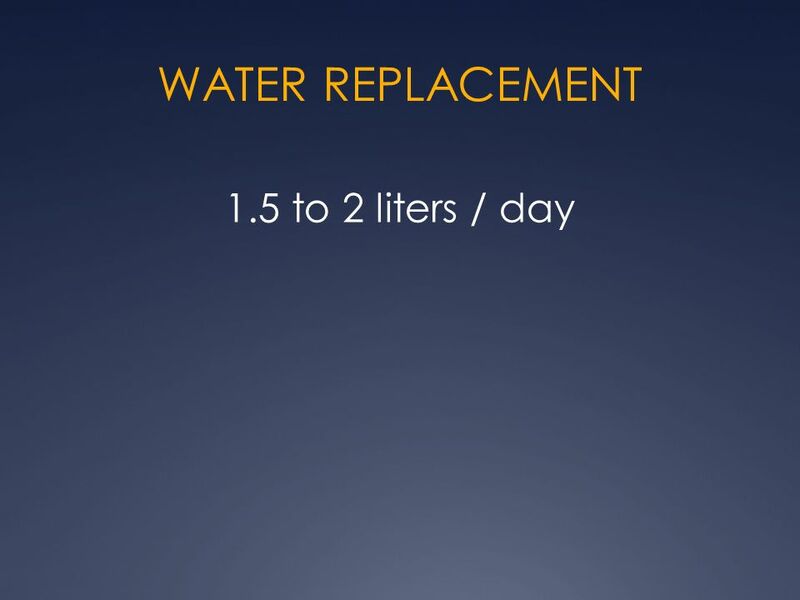 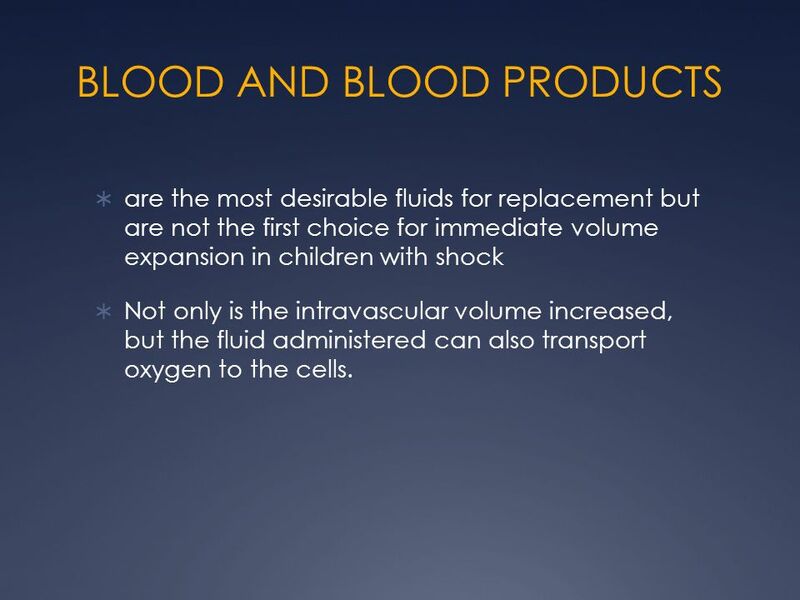 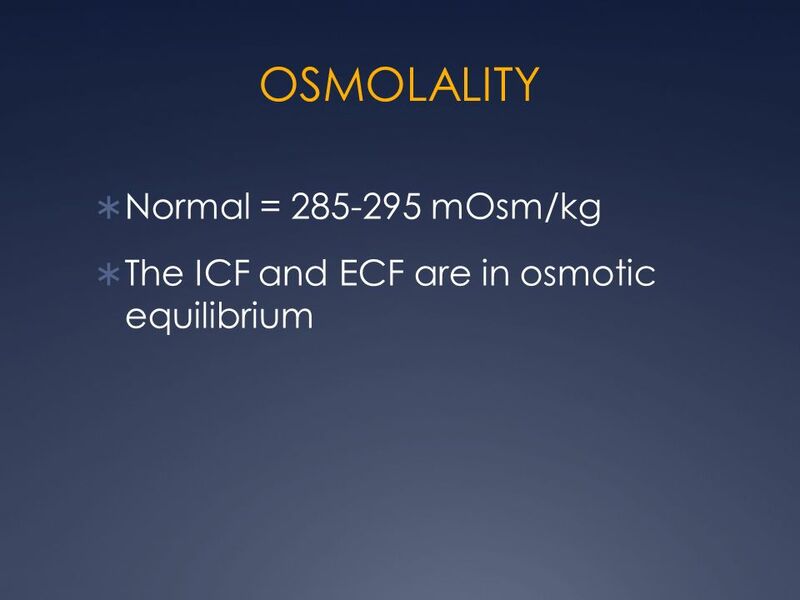 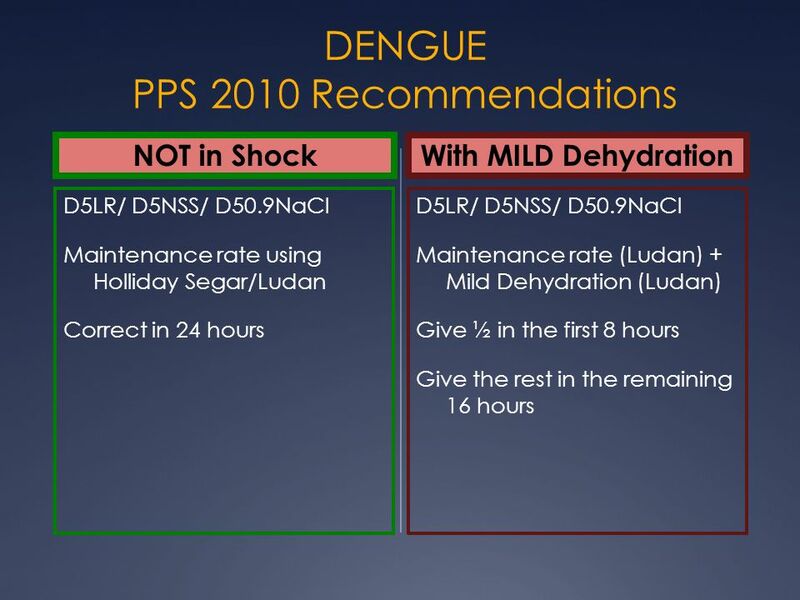 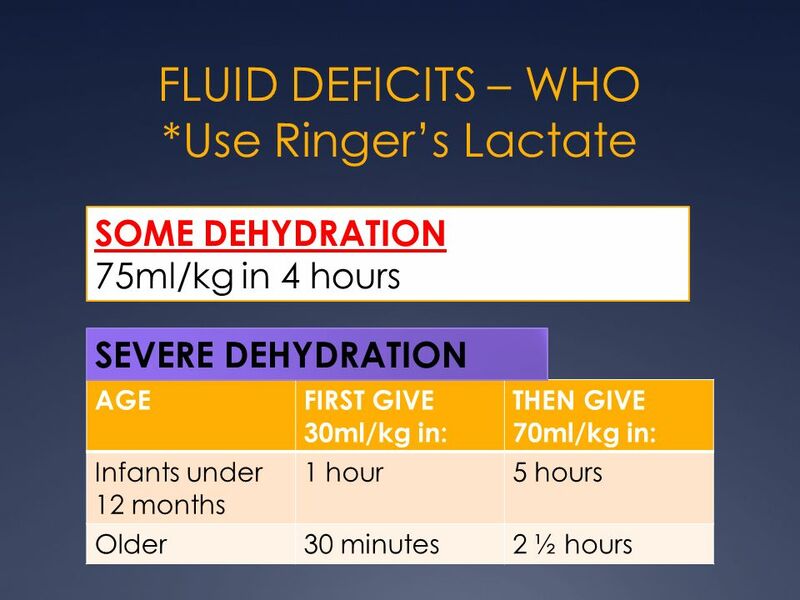 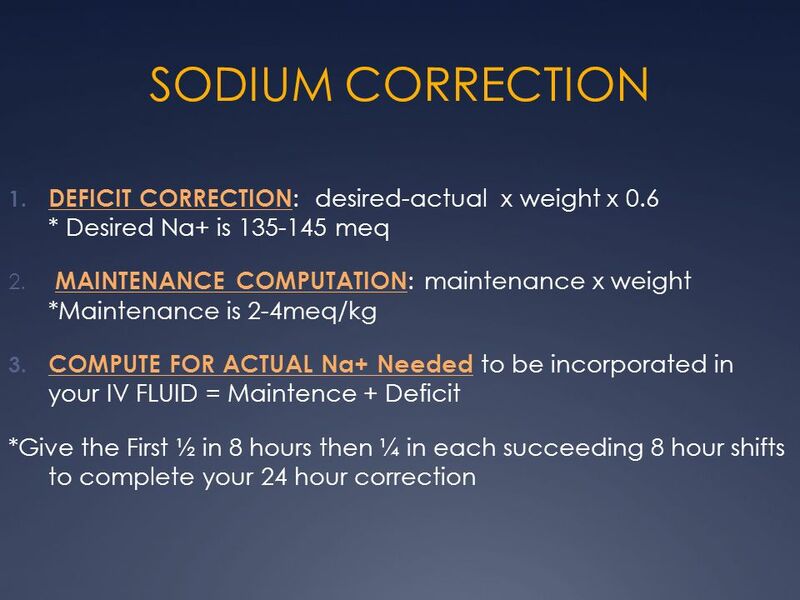 are the most desirable fluids for replacement but are not the first choice for immediate volume expansion in children with shock Not only is the intravascular volume increased, but the fluid administered can also transport oxygen to the cells. 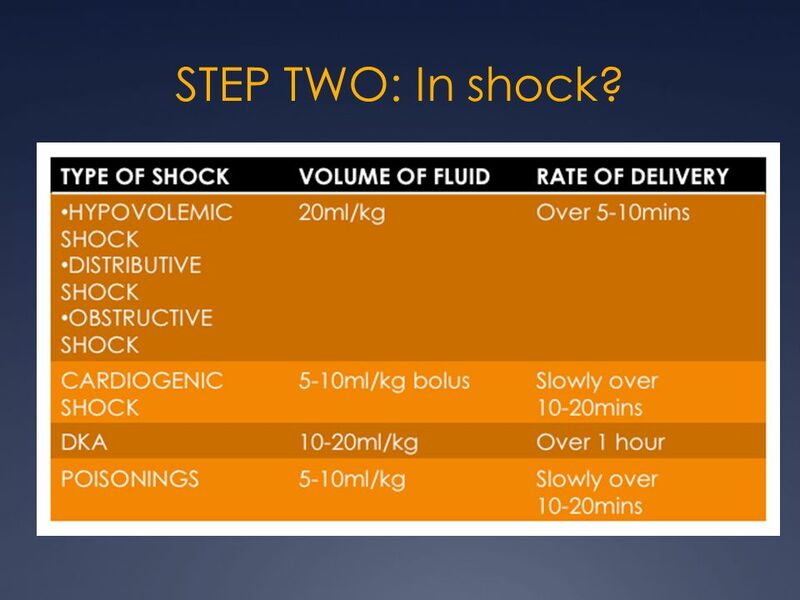 42 STEP TWO: In shock? 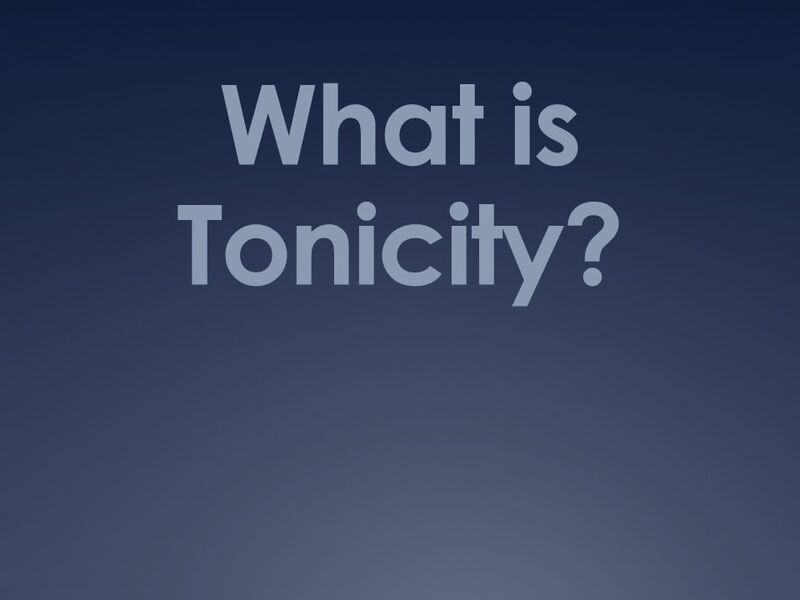 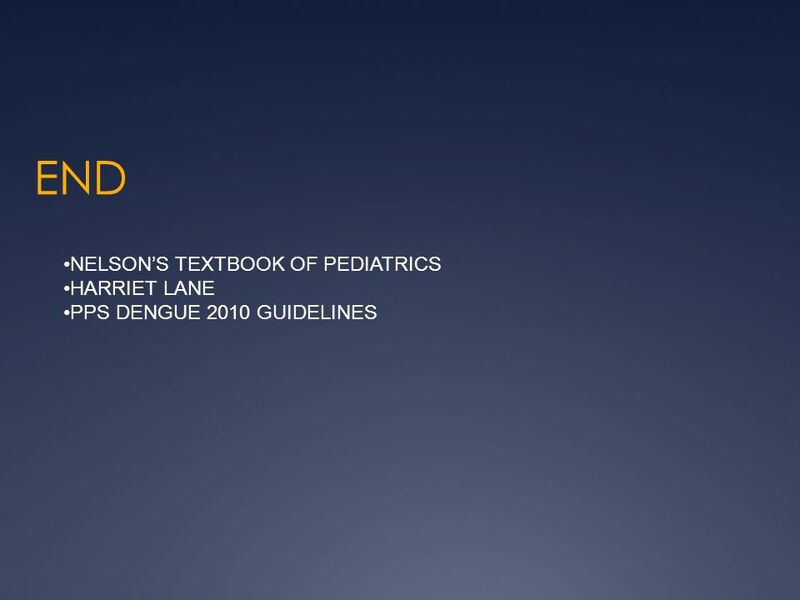 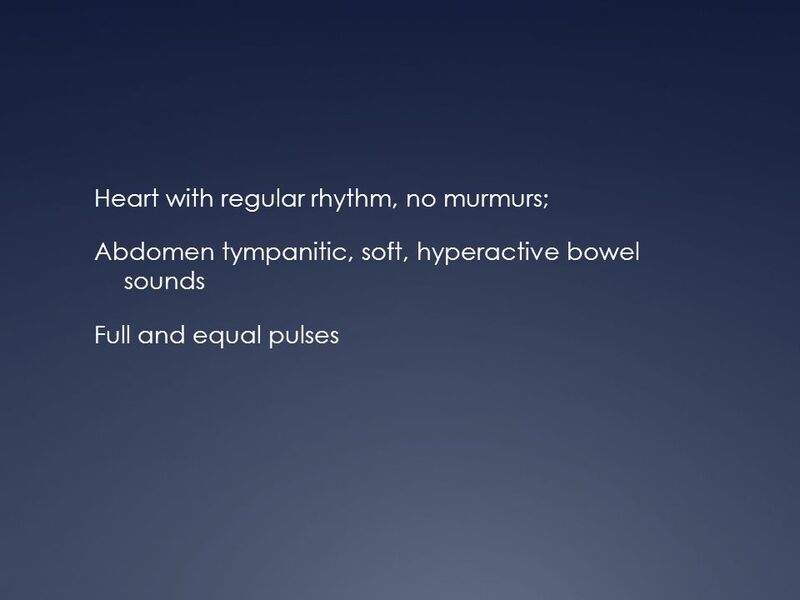 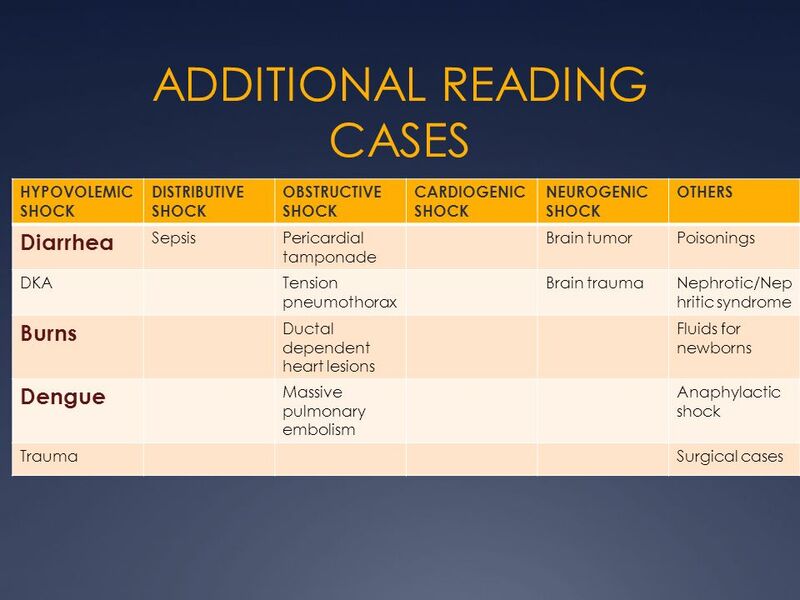 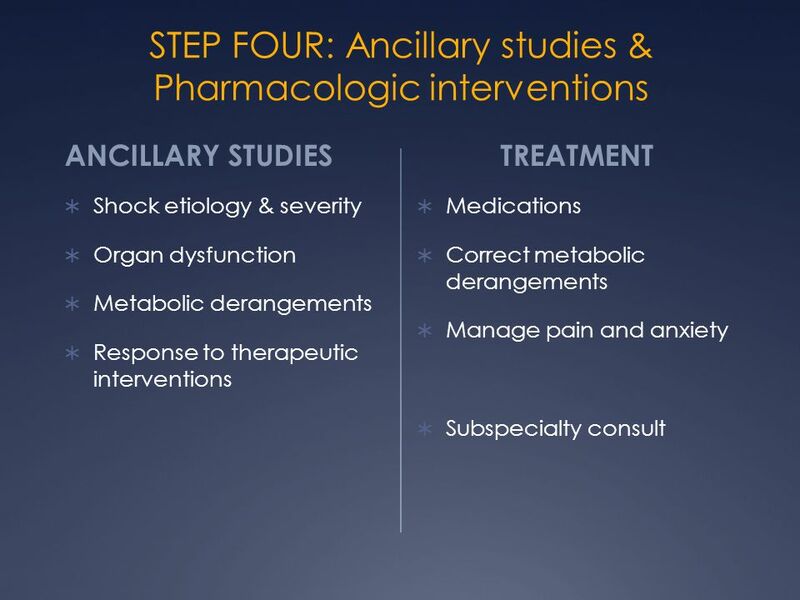 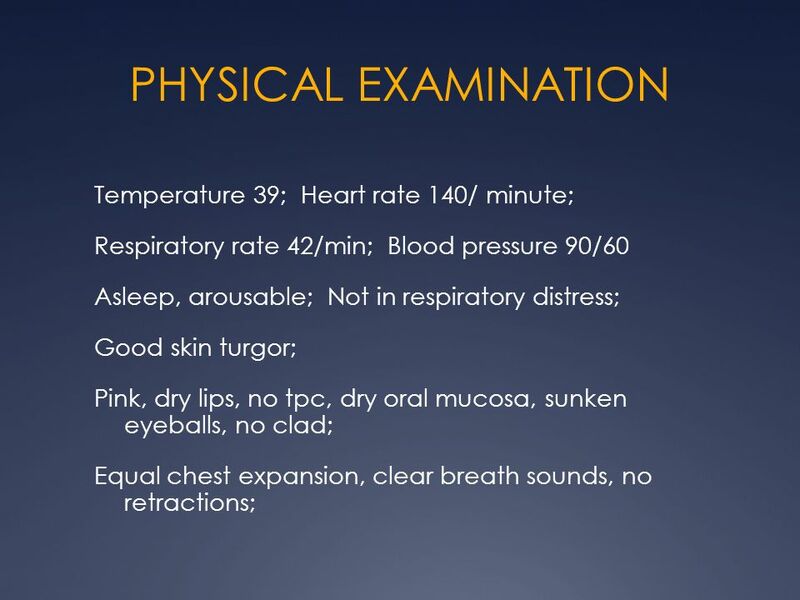 60 CASE 1 year old MALE was brought to the ER by his hysterical mother due to sudden generalized tonic clonic convulsions and upward rolling of the eyeballs which occurred five minutes prior to consult. 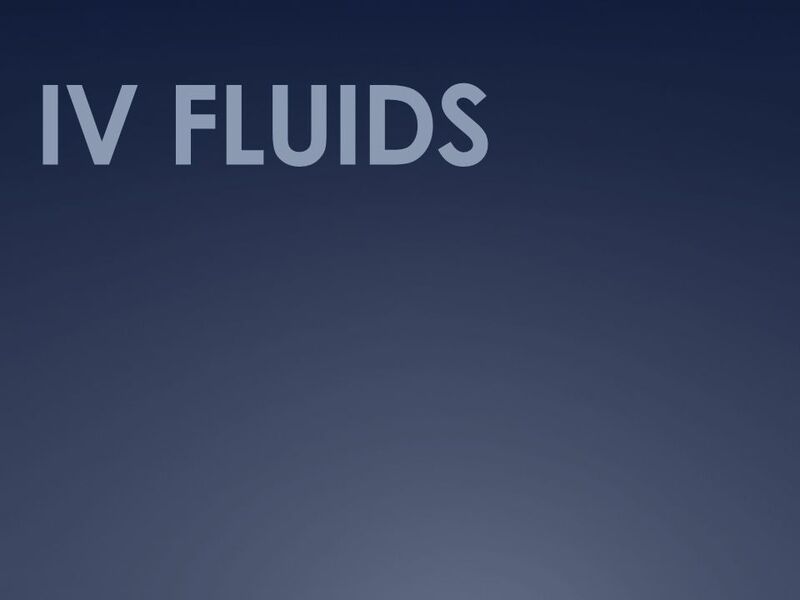 This is reported to be his first attack. 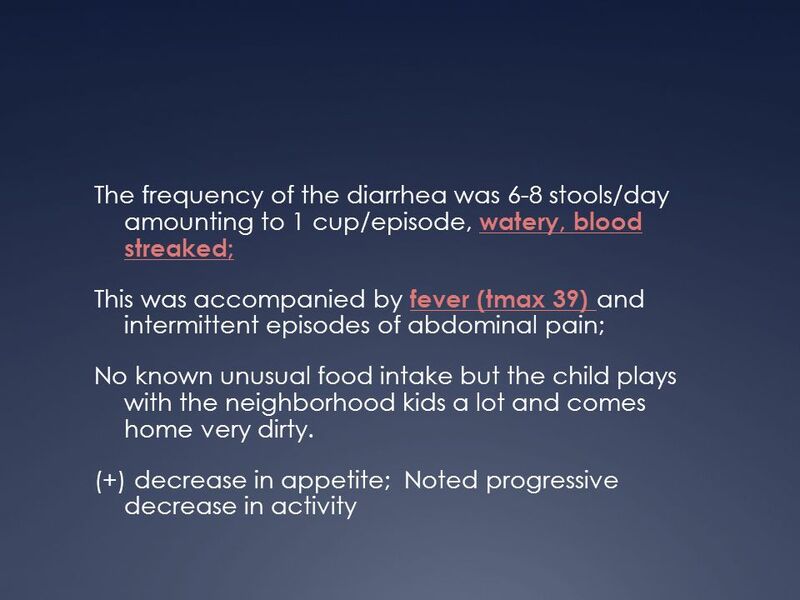 On further investigation, you noted a 3 day history of vomiting followed by diarrhea. 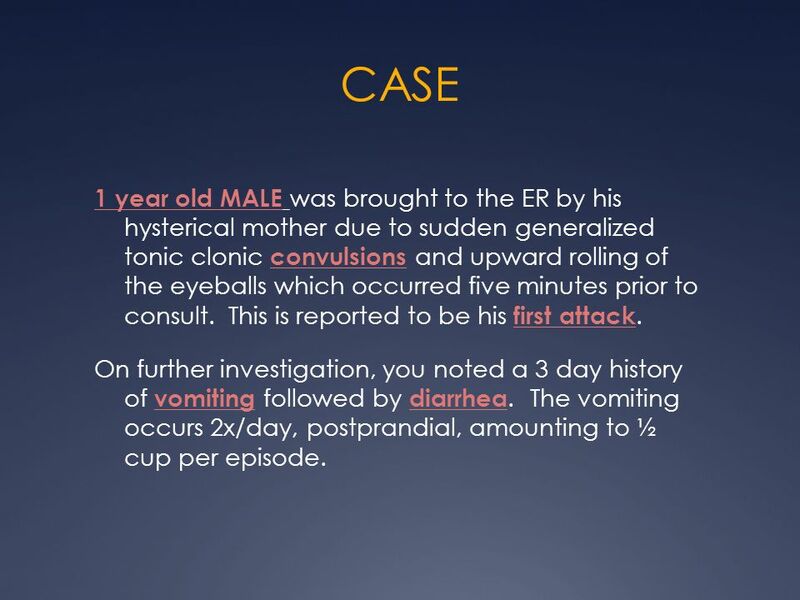 The vomiting occurs 2x/day, postprandial, amounting to ½ cup per episode. 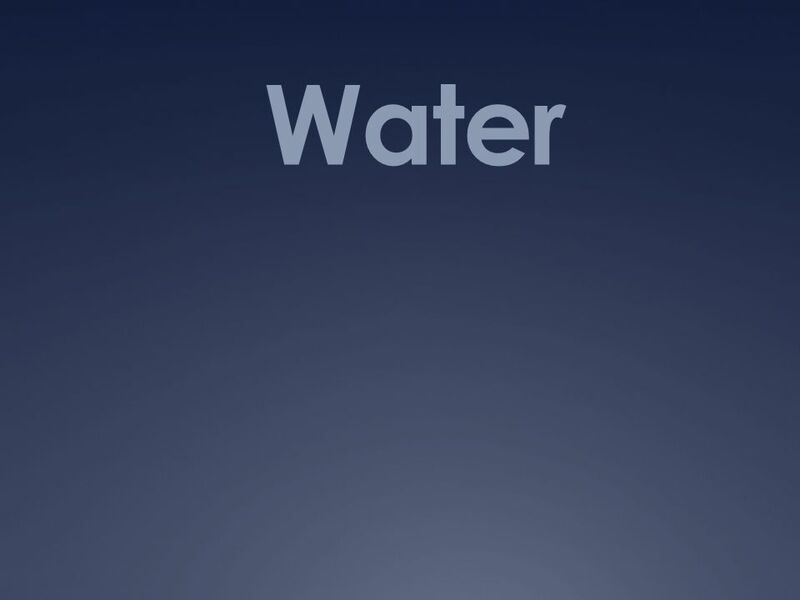 CHAPTER 2 Part 2. 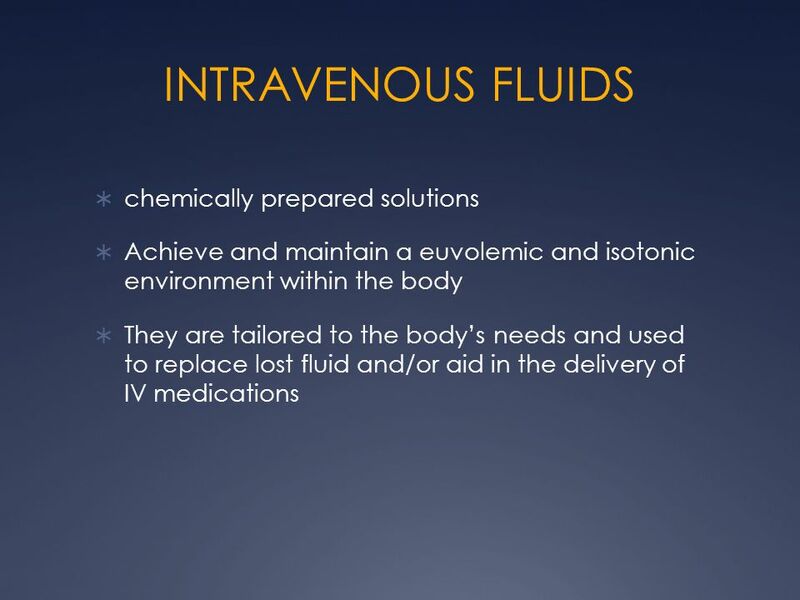 PATIENT PREPARATION IV CATHETERS: catheters are ideal for all anesthetic procedures Can provide IV fluids for support during surgery.